Hmm. Well here's a photo I wasn't that keen on... The Willettes thought it would be a great idea to see if I could balance broccoli on my head (of course I can) and photograph the evidence. It went down very well on Facebook, was shared by lots of people and reached over 1 million people. The shame of it all... 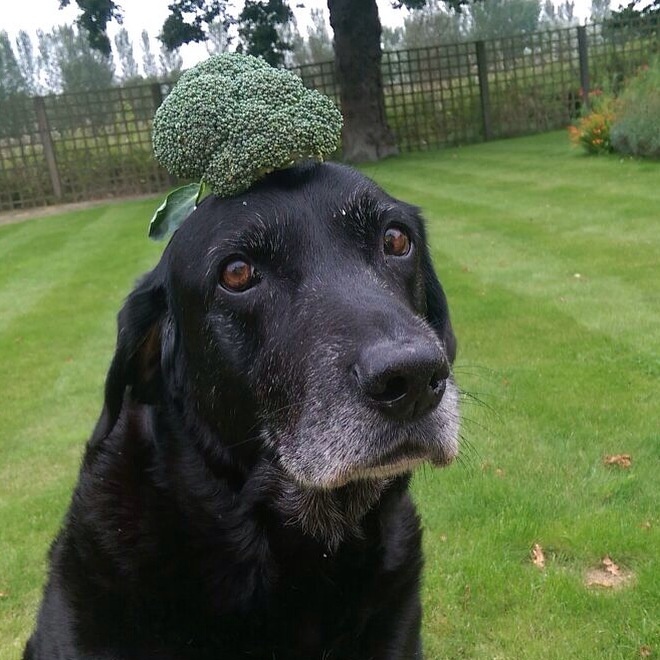 It even led to a trend of other dog parents seeing if their dogs could balance vegetables on their heads. For which I can only apologise to all my fellow canines.